a) Outline the steps involved in the synthesis of steroid hormones. b) Clinical features and management of classical congenital adrenal hyperplasia. 2. Classification, etiopathogenesis and management of hemolytic uremic syndrome. a) Munchausen syndrome by proxy. a) Pathophysiology of regulation of plasma osmolality. b) Diagnosis and management of distal renal tubular acidosis. b) Outline the management of polycythemia. c) Outline the oncologic emergencies occurring in leukemia/lymphomas. a) Biology and role of cytokines in newborn infants. a) Define fulminant hepatic failure. b) Stages of hepatic encepbatopathy. c) Management of fulminant hepatic failure. a) Development of diaphragm, trachea and esophagus. b) Diagrammatically depict various types of tracheo-esophageal fistulae. a) Give graphical picture and explanation of elastic volume- pressure relationship of lung and chest wall in children. b) How would you distinguish restrictive vs obstructive lung lung disease based on PFT? 1. 12-year-old female child presents with short stature and delayed puberty. a) Enumerate various possible causes. b) Approach to diagnosis and their management. a) MDR and XDR tuberculosis: treatment strategies. 3. A child with suspected diabetes insipidus is brought to hospital. How will you approach, investigate and manage this patient? a) Outline the physiology of Vitamin D.
b) Diagnosis and treatment of Vitamin 0 dependent rickets. a) Management of steroid resistant & steroid dependent nephrotic syndrome. b) Metabolic syndrome: diagnosis & complications. a) Etiological classification of neonatal hypoglycemia. 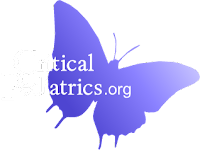 b) Clinical features and management of neonatal hypoglycemia. a) Management of infantile tremor syndrome. b) Clinical features of hypervitaminosis A.
c) Clinical features of hypervitaminosis D.
9. A 2 year old child presents with history of regression of milestones for past 6 months and hepatomegaly. Discuss the differential diagnosis and diagnostic approach. b) Causes and investigations in a child with stroke. b) Pathophysiology and management of near drowning. a) How will you classify childhood histiocytosis? b) Diagnostic criteria, clinical features and treatment for phagocytic lymphohistiocytosis. a) Obstructive sleep apnea: Diagnosis and management. b) Clinical features and management of Hashimoto's thyroiditis. a) How do you classify and treat lupus nephritis? b) Enumerate causes and management of adrenal crisis. b) Hyperosmolar non ketotic diabetic coma. 9. Primary and secondary prevention of genetic disorders. a) What are the biochemical criteria for the diagnosis of diabetic ketoacidosis? b) What are the goals of therapy? c) How will you manage a child with DKA?